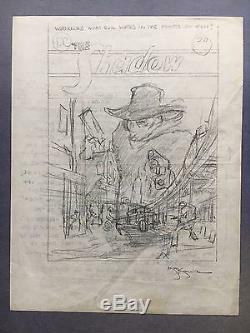 This particular DC Comics Proposal Sheet for the cover of The Shadow #1 is original art b y Michael Kaluta from November. 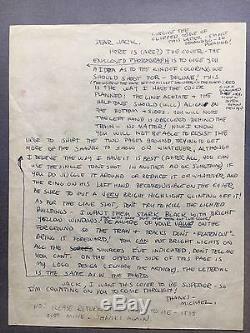 On the back of the preliminary proposal cover is a letter to Jack explaining how Michael would like the layout for the cover. So much explanation for a intricate and iconic cover. Take a look at this and my other original art for sale. We try to describe all items as accurately as possible. The item "The Shadow (DC) #1, Nov. 73, Proposal Sheet of Cover, original art by Kaluta" is in sale since Saturday, May 06, 2017. This item is in the category "Collectibles\Comics\Original Comic Art\Covers". The seller is "ftlom" and is located in Calgary, Alberta. This item can be shipped worldwide.